Does the dryer cycle takes long to complete? Are your clothes still not dried? There are many reasons why such problems occur. Call us to check the appliance and offer dryer repair in Huntington Beach, CA. We have experience in all branded electric and gas dryers and can fix their problems. Since dryer problems are often serious, Appliance Repair Huntington Beach responds fast. Our techs are always prepared to do any repair needed but also to install a new clothes dryer. Call us for any dryer service in Huntington Beach, California. Why problems related to dryers are often serious? If the dryer is clogged, airflow will be restricted. So, the appliance will take longer to dry clothing and spend more energy. If hot air is trapped in the appliance and has no way out through the vents, a fire might start. That’s why our Huntington Beach dryer repair specialists respond as soon as they can to fix the appliance. The techs from our team are qualified, certified, and trained to do any washer and dryer repair too. This means we can fix combination units and are specialists in both laundry room appliances. No matter which type of dryer you own, you can trust its service to our experts. Our service also includes dryer installation. Installing a new clothes dryer takes experience too. At our company, we follow all safety rules and pay attention to the dryer’s specs to do the job by the book. 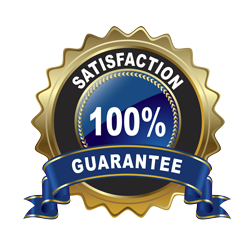 The performance of the appliance and the safety of the client both depend on our accuracy. With us, you have nothing to worry about. 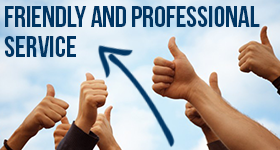 We are fully qualified and updated and each service is done with precision. Call us if you have any trouble with your dryer. 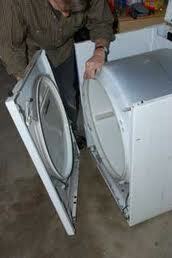 Our dryer repair Huntington Beach techs will be more than happy to assist you with any issue.